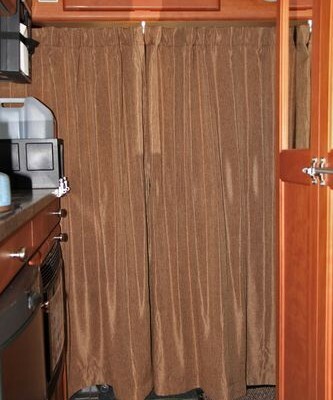 Many people prefer converted buses over manufactured RVs because they feel more spacious and homey. 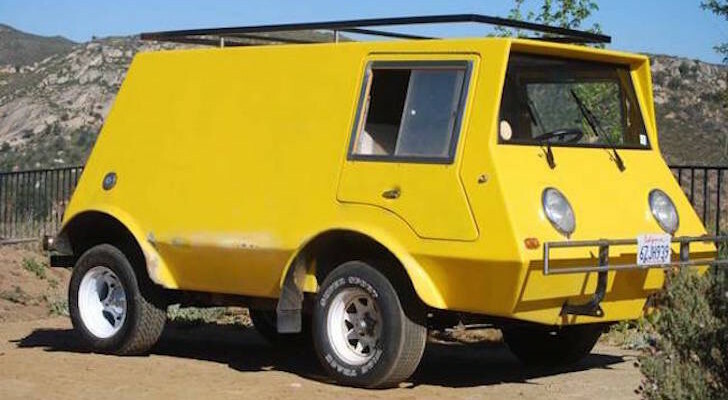 But ask anyone who has completed a skoolie and they will tell you that it is no easy project. 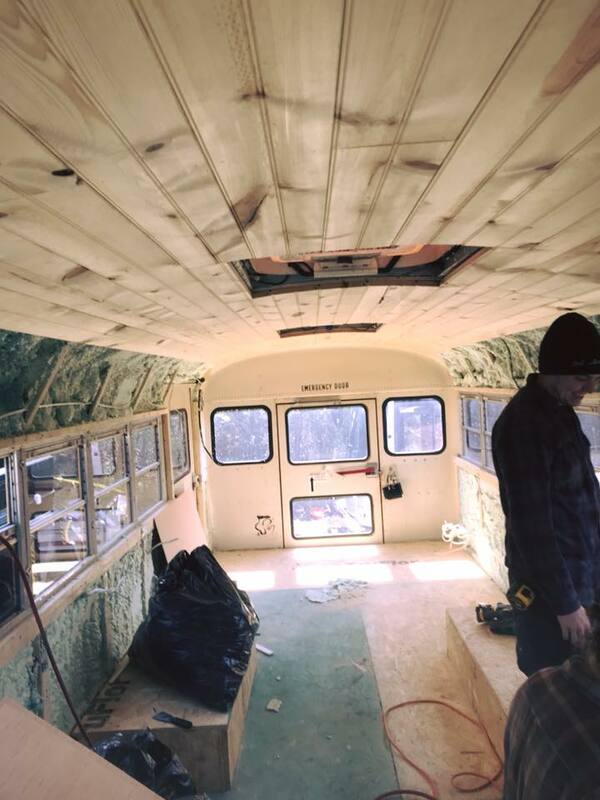 Gutting out all of the seats and building out the bus yourself can be intimidating if you don’t have any prior experience. It can still be done with enough research, but you risk not doing everything correctly and much of the time it will be trial and error. 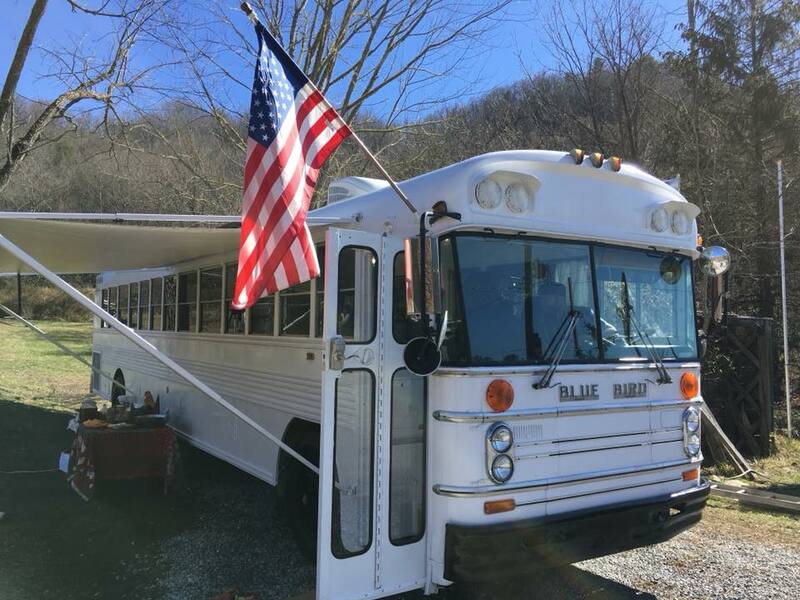 Blue Ridge Conversions is a small family-owned business from Hot Springs, North Carolina that does all of the hard work in building out custom bus conversions. 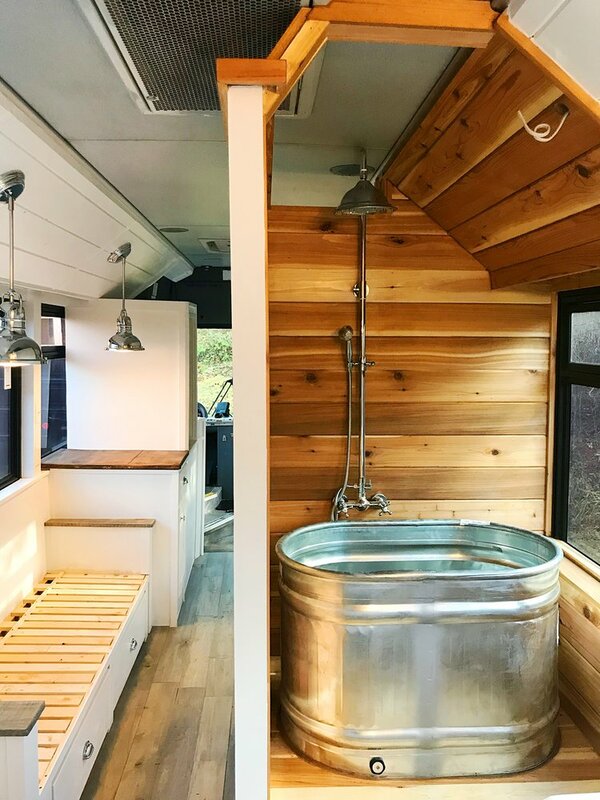 We asked the owner Jeff a few questions to learn more about their process for converting buses into tiny homes. To start, a client will need to obtain an old school or city bus. 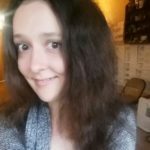 They are easy to find for sale online from places like Craigslist, eBay, and forum classifieds. 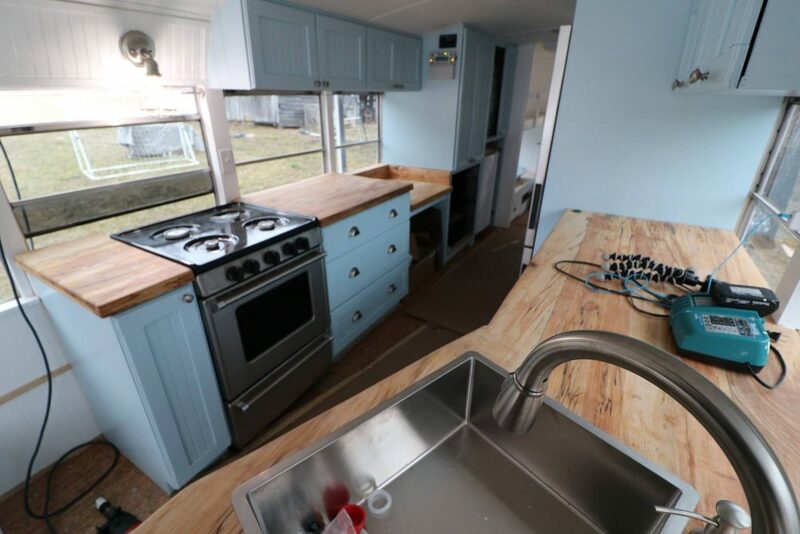 Blue Ridge Conversions then rips out all of the seating, insulates the interior, runs all of the electric and plumbing, and builds it out with a floor plan based on your preferences. The kitchen cabinets are made of reclaimed wood and frosted glass. The entire conversion takes about 12-16 weeks to complete. 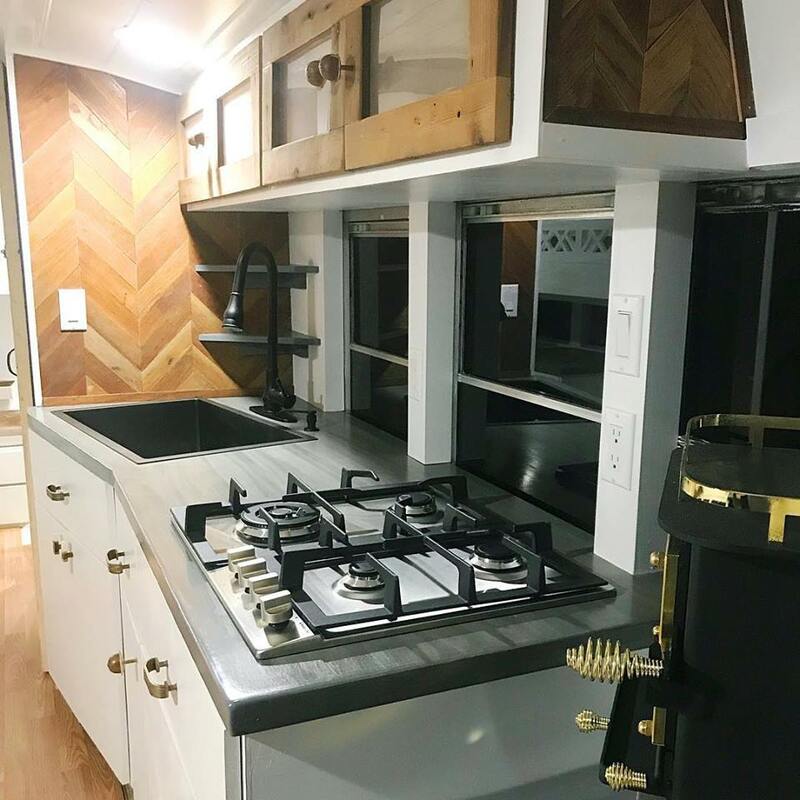 They custom build everything inside the buses from the cabinets to the countertops and walls. “We build everything ourselves so that we can create storage,” Jeff says. Installing Ponderosa pine ceiling in their latest conversion. 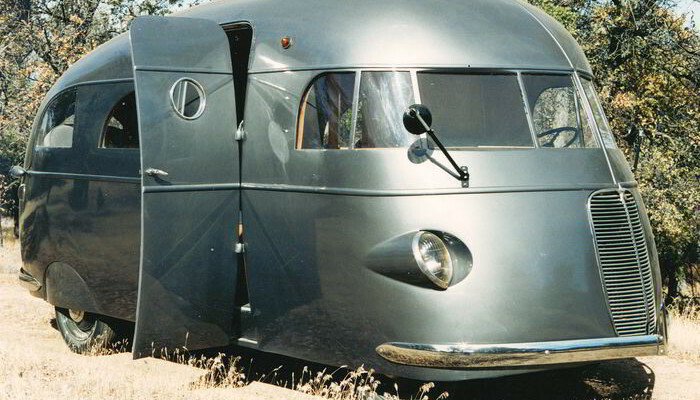 Blue Ridge Conversions was first established after Jeff and his family built out a bus in the North Carolina mountains. After they moved in, they started getting messages on social media from others who were interested in converting a bus too. Their Blue Ridge Mountain bus. Inside their bus. 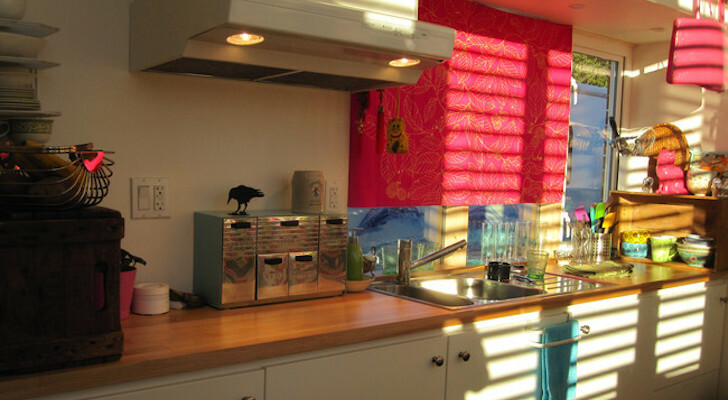 They used open wood shelving to maximize space in the kitchen. 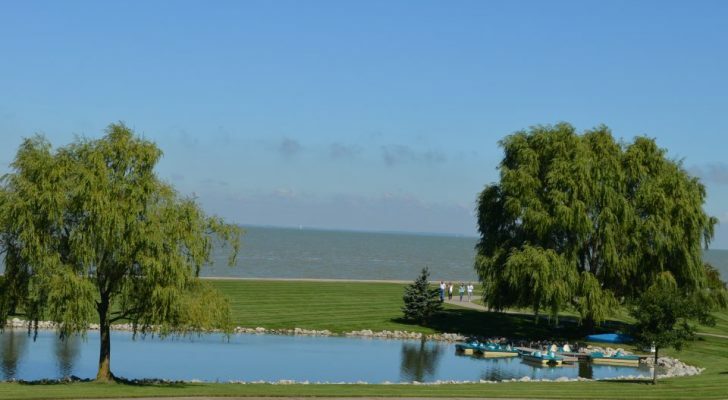 Some of their clients include the couple from the movie Expedition Happiness and the Rhodes family who is currently traveling and filming the documentary Great American Farm Tour. And the stylish end result! This bus is now home to a family of six who are traveling across America in search of the best farms. 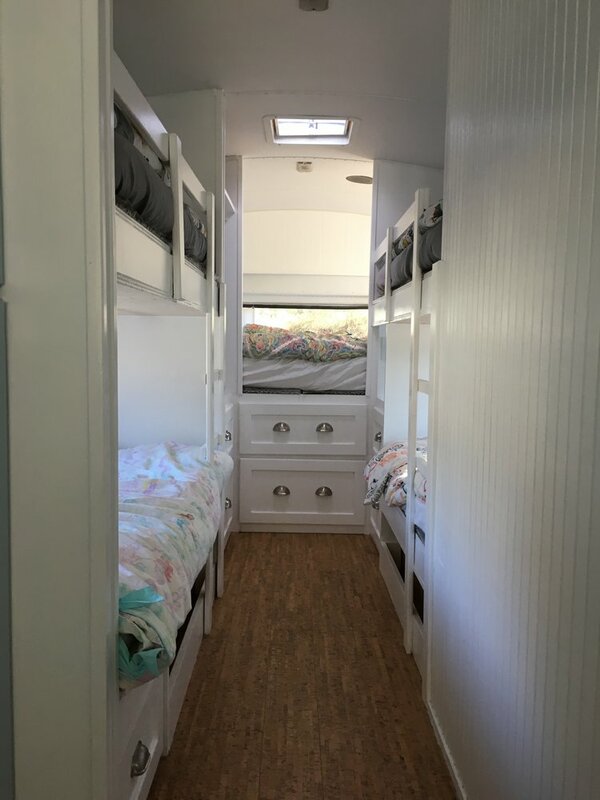 It has a large, open kitchen along with bunk beds on both sides of the hall. Enough sleeping room for the whole family. 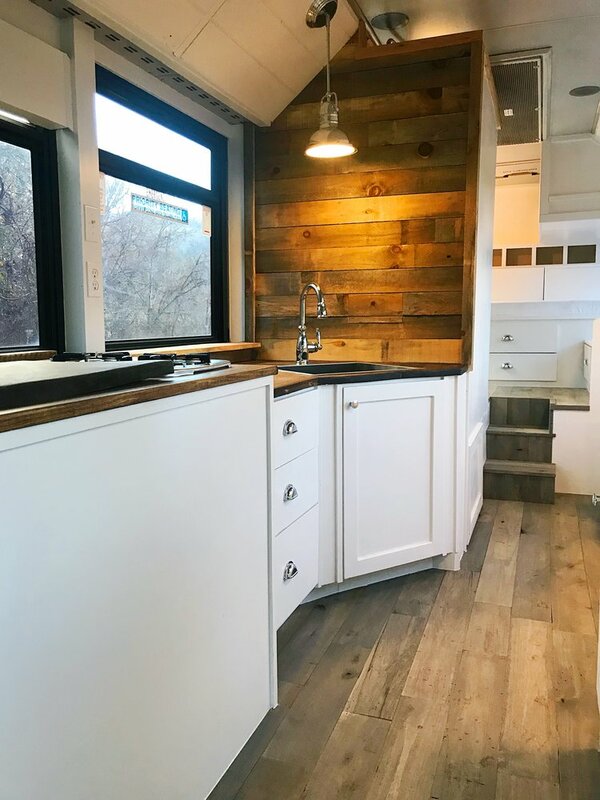 Another example of the gorgeous work by Blue Ridge Conversions can be seen in this renovated city bus. 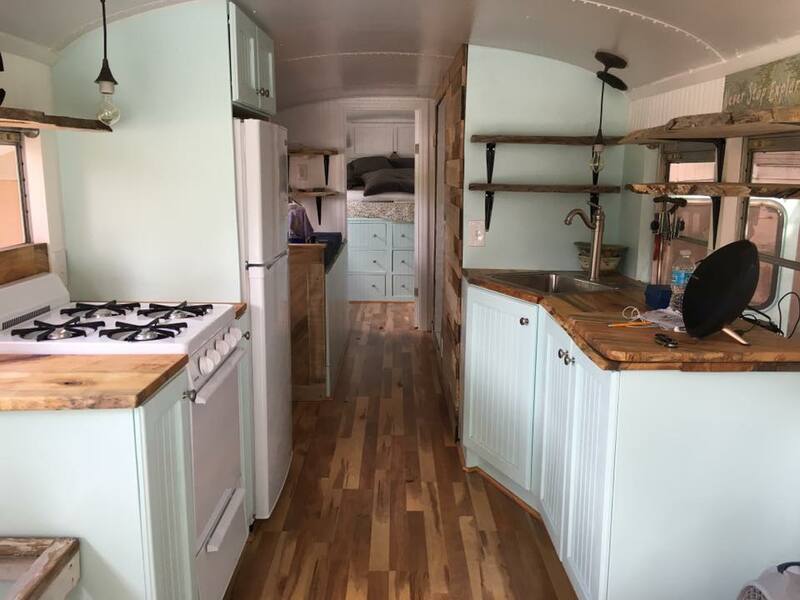 They built the kitchen walls with reclaimed pallet wood to match the wooden countertops, cabinets, and flooring. 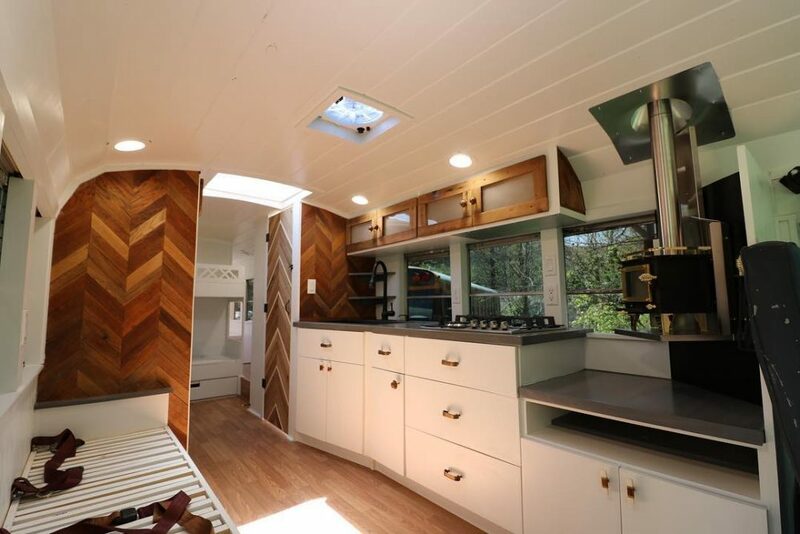 Can you believe this cozy living space used to serve as public transportation? They also added a rustic-style shower just around the corner from the kitchen. The shower’s designed with cedar paneling, a window for ventilation, and a water trough tub. 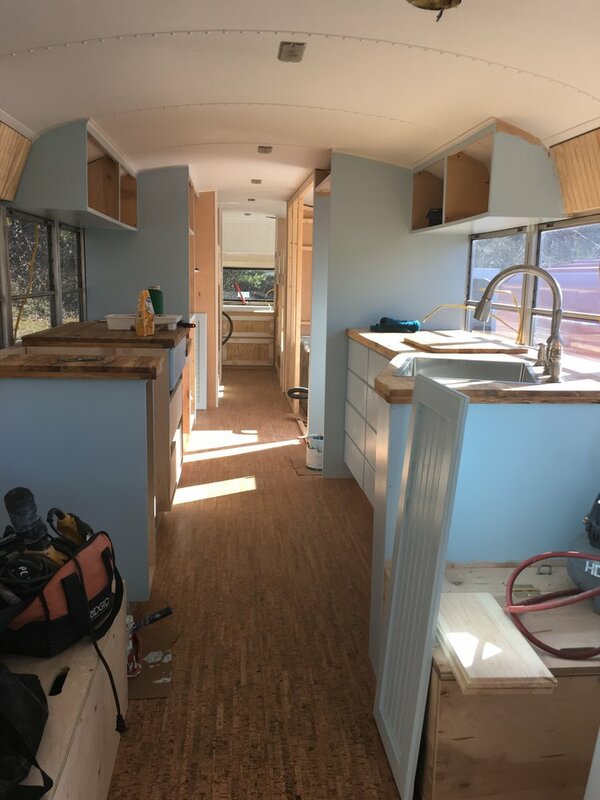 If you are building out your own bus, Jeff advises to do your research, create storage wherever you can, and be patient as buses can be a pain. 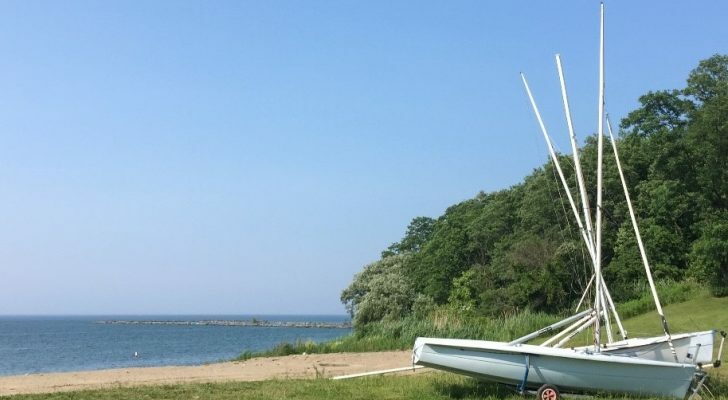 Their conversions start around $35,000 and fluctuate depending on the size, design, and materials used. 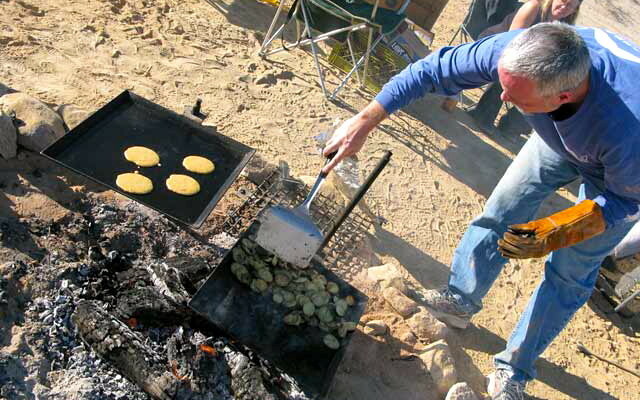 For more information on Blue Ridge Conversions, visit their website at BlueRidgeConversions.org. You can also find useful tips on the school bus conversion forum Skoolie.net.